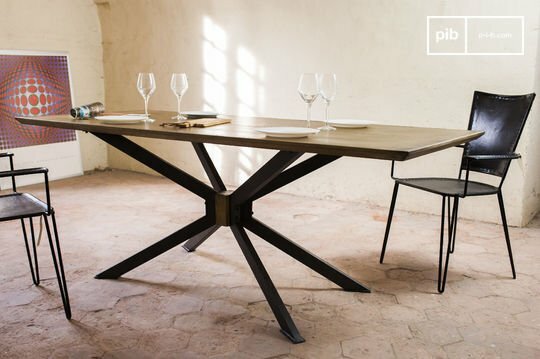 We have chosen for you only truly noble and durable materials for the retro dining table: solid wood and metal. 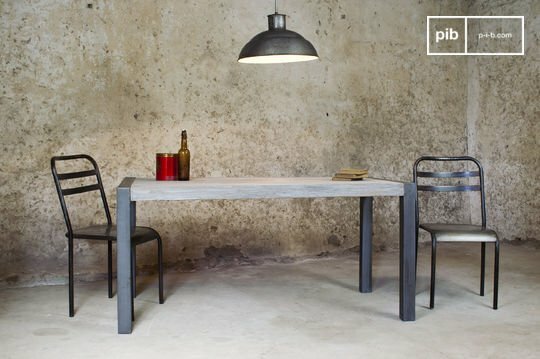 From the industrial dining table with metal legs to the shabby chic dining table the stability is fool proof. 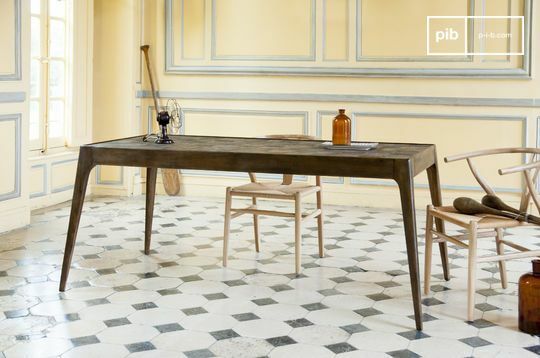 Whether it is a wooden table with aged marks and features, made with reclaimed timber or a table featuring a wooden top and table bench with steel legs, the finishes on our tables were meticulously done and are made to last for decades. 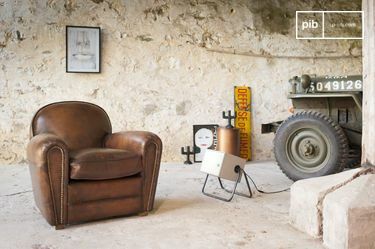 In addition, the wood has a patina finish in order to bring an authentic and vintage touch, to adapt to retro interior designs. 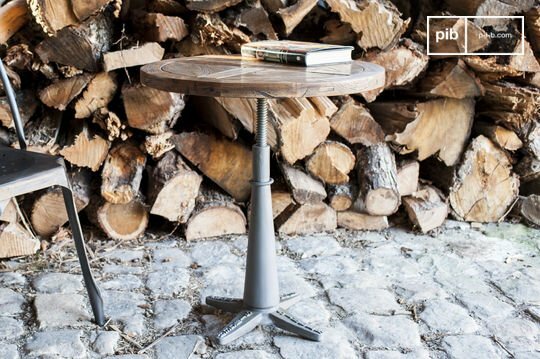 Some models can also meet specific needs: a high bar table and round tables will be great for small meetings, accompanied by vintage bar stools or the usual wooden bar chairs for example. 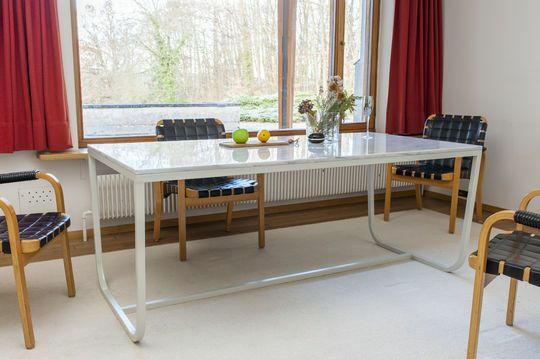 For big gatherings around a meal with friends and family, you will surely prefer a longer retro dining table, some of which can accommodate up to ten to twelve guests. 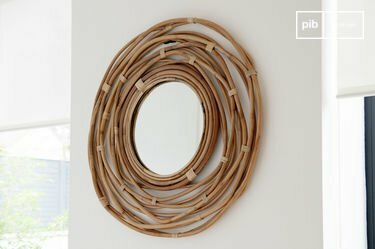 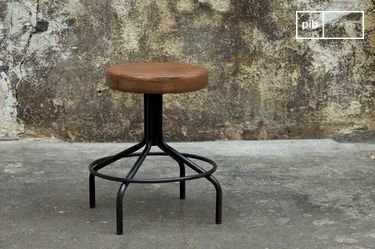 Choosing the appropriate chairs or contemporary bar stools will also be an important factor in properly decorating your dining room; the industrial retro dining table, which combines wood and metal, goes very well with chairs made of solid wood or aged metal, that you can easily find in the dedicated section of our website. 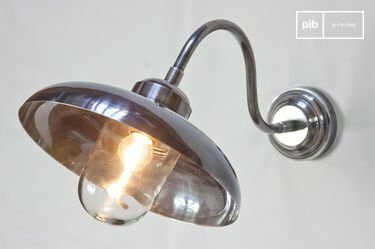 Illuminated by an industrial ceiling lamp, a rustic table surrounded by metallic chairs can recreate a workshop look in your interior. 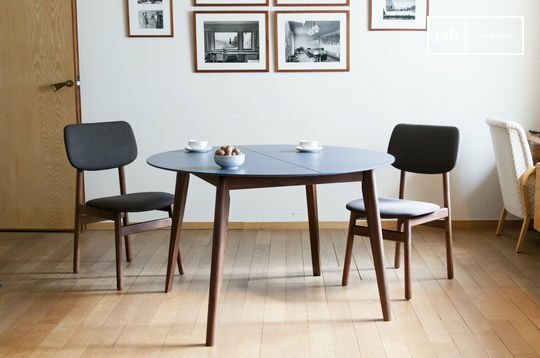 Our Scandinavian dining table will adapt best to chairs with a sleek appearance that give an uncluttered finish. 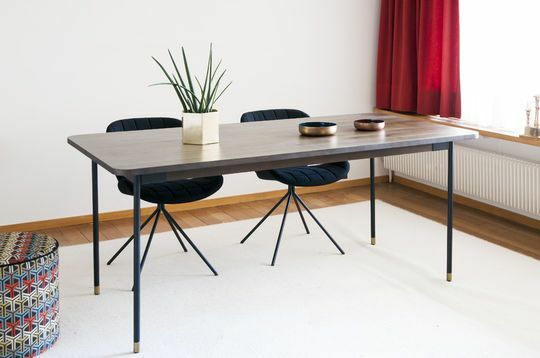 Central components of an interior, a retro dining table will dictate the ambience of your whole decor. 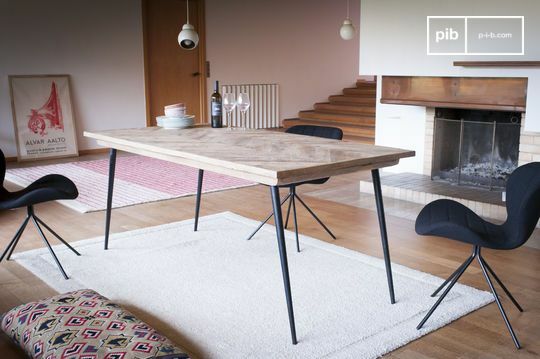 the rustic style of raw wood or the more discreet look of a Nordic table.